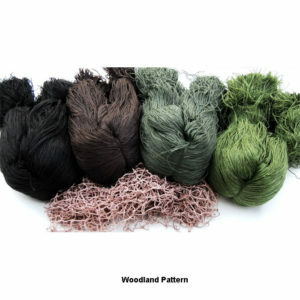 In this section you will find materials and kits to make your own ghillie suit. 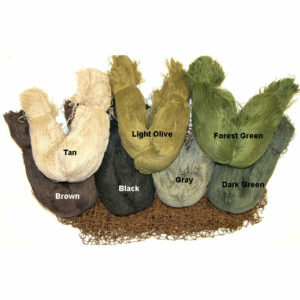 Ghillies can get expensive and by using one of our Ghillie Suit Kits you can cut the cost in half. 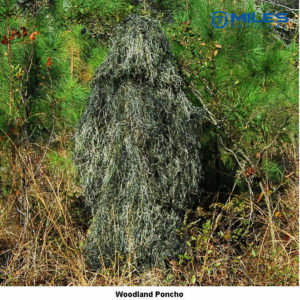 Military professionals prefer to make their own ghillies because their life depends on this camouflage. Building you own suit allows you to customize the pattern to your liking. We now have 2 versions of our kits available. 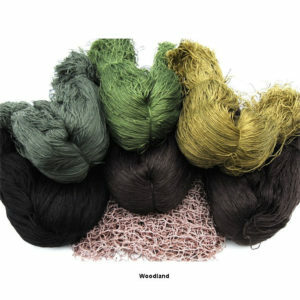 The Jute version and the new Ultralight Synthetic version. 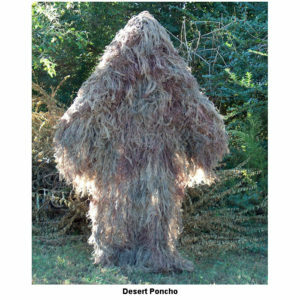 The Ultralight version makes your ghillie suit extra mobile and also saves you in shipping, especially when shipping international. The Ultralight kits are also Fire-retardant, Water-repellant, Rot-proof, Mildew resistant, Non allergenic, and contain NO UV Brighteners. 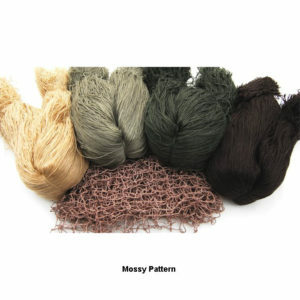 All you do is choose a ghillie suit kit and pick the pattern and we will include the correct colors. 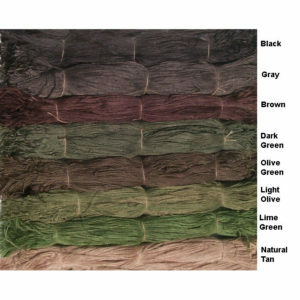 Or you can choose a custom ghillie suit kit and pick the colors yourself. 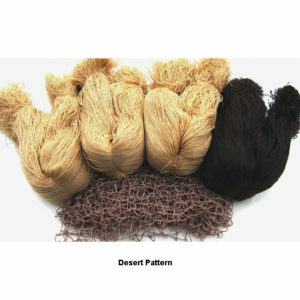 We even have the netting and jute available to purchase by the pound. 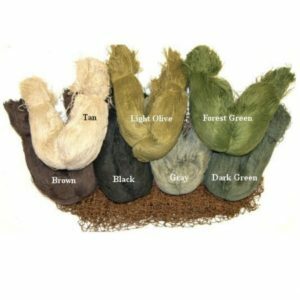 But ghillie suit jute and synthetic thread cost upwards of $10 a bundle and if you are getting more than 4 bundles it is better just to go with a complete kit and save yourself some money. After all, with the kits you also get the netting and the fire retardant which otherwise would have to be purchased seperately.